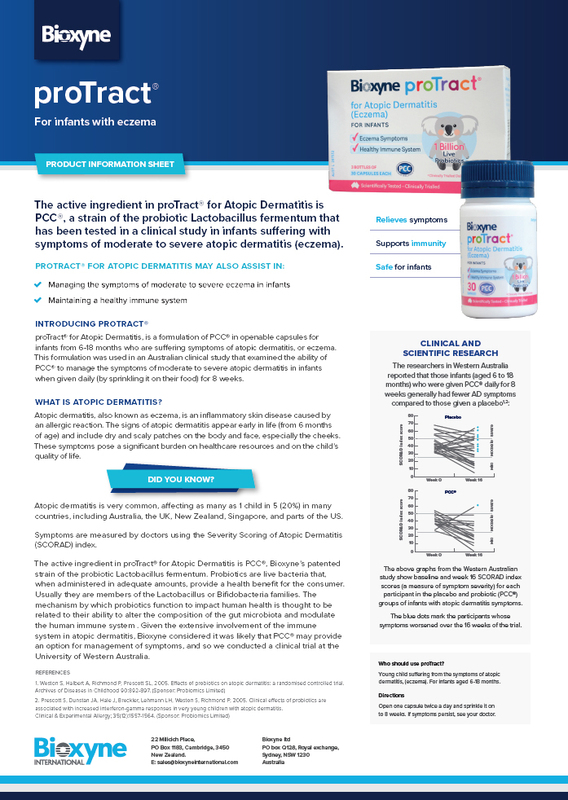 proTract® is a probiotic dietary supplement for infants with eczema. If symptoms persist, see your healthcare professional. Always read the label and use only as directed. 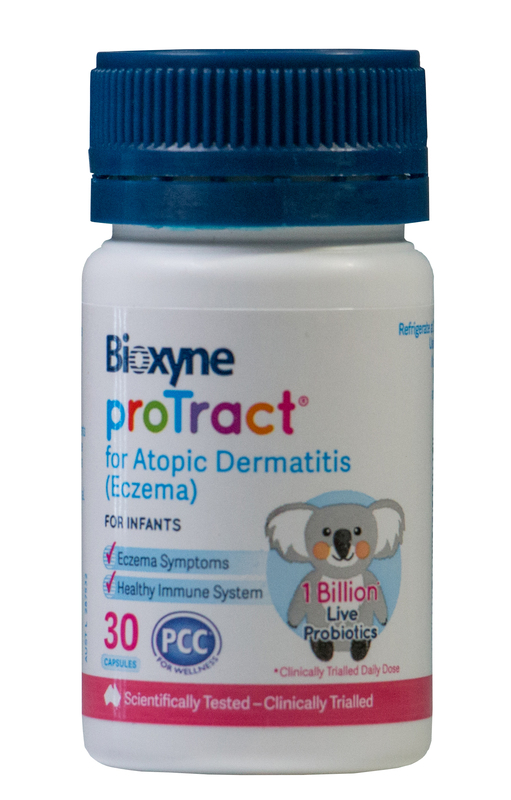 The active ingredient in proTract® for Atopic Dermatitis is PCC®, a strain of the probiotic Lactobacillus fermentum that has been shown in a clinical study to reduce the symptoms of moderate to severe atopic dermatitis (eczema) in infants. For infants aged 6-18 months. Open and separate one proTract® capsule. Sprinkle its contents into food or formula, two times per day, for 8 weeks. If symptoms persist, see your healthcare practitioner. 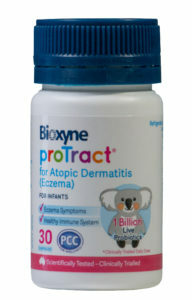 proTract® for Atopic Dermatitis is provided as a bottle of 30 openable capsules. Store refrigerated at 4-8oC.